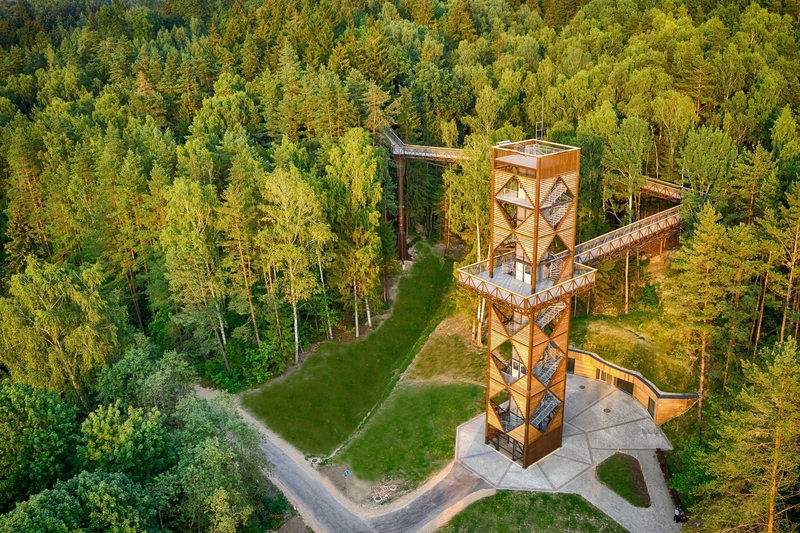 The Treetops walking path, located in the famous Anykščiai Pinewood is the only treetop path in Eastern Europe. The path is in the level of the tree crowns and it lasts for 300 meters, evenly going up to 21 meters high. 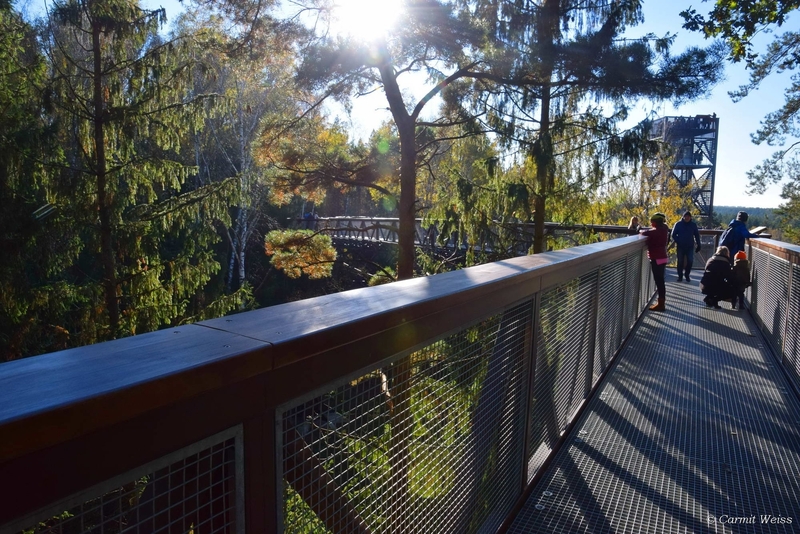 There are 13 stops on the treetop walking path which are assigned to feel the fascination of a famous A. Baranauskas written poem about the Anykščiai Pinewood: to see, to hear, to smell... 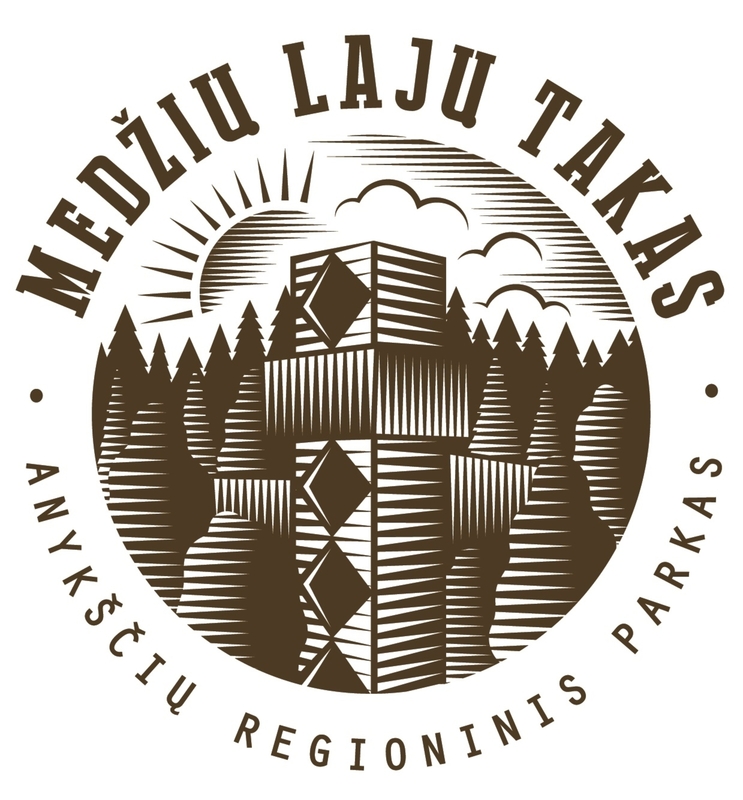 The stops in the real spaces will help you to get to know and experience the variety of Lithuanian forests, to know and understand the importance of the Anykščiai Pinewood plants around the area. 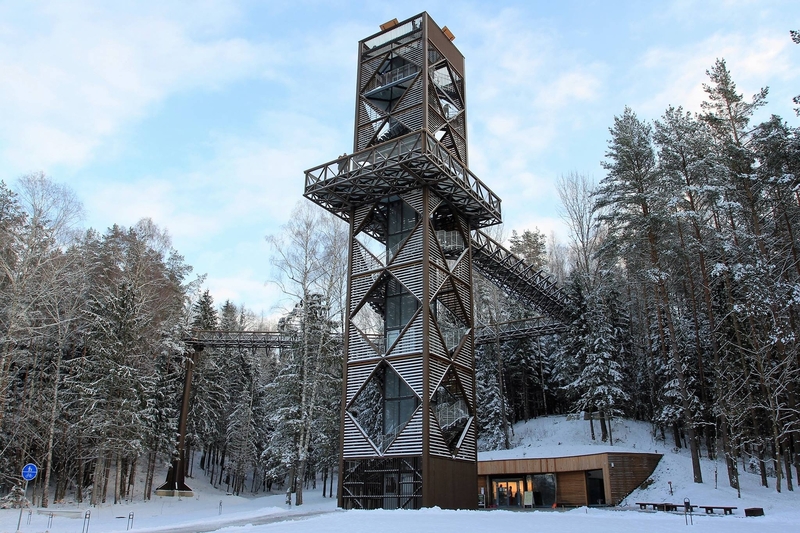 On the 14th stop, which is on the highest point on the tower (the height of the tower is 34 meters), the breath-taking view of the Šventoji river curves opens up, and the tower tops of the St. Matthew’s church, which is the highest in Lithuania, arises over the forest. 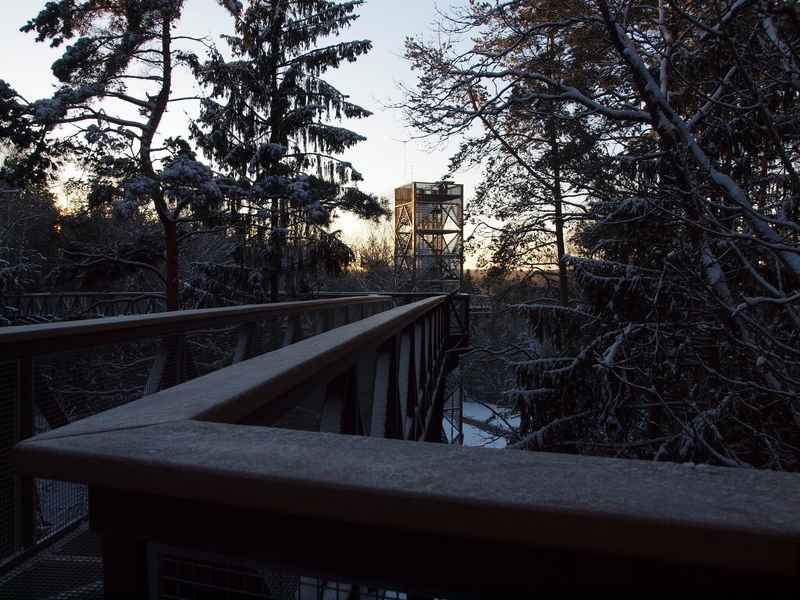 It is recommended to visit The Treetop walking path every season, to observe the changing of the season cycle in nature. Educational program "The Other Forest"
Labai gerai, kad nėra šunų. Valio, kad negalima su sunimi. Viskas apsysiota apkakoya butu. Saunuoliai! Tai reikia pasiskambinti pries atvystant. Uzduoti jums rupimus klaudimus pries atvykstant. Gerai, kad perskaičiau komentarą, nes mes irgi planavome atvažiuoti su šuniu ir pasivaikščioti ir tik iš komentaro sužinau, kad su šunimis negalima. Apgailėtina, negi sunku parašyti ir akcentuoti.